One of the many young Finns who are up-and-coming in the golf world is Krista Bakker, a 21-year-old who just notched her first victory on the LET Access Series. 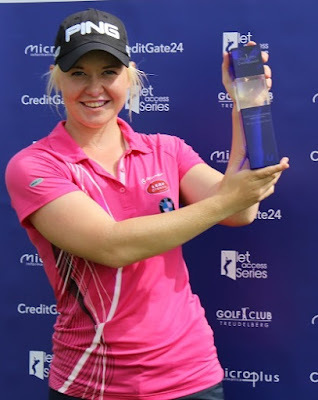 Bakker won the CreditGate24 GolfSeries Hamburg Open at Treudelberg Golf & Country Club in Hamburg, Germany, which concluded today (Saturday, Aug. 1, 2015). Bakker took a 3-shot lead after the second round, which meant she went into the final round of a pro tournament with a lead for the first time in her career. And she held up under that pressure, winning by three shots. Krista's previous best this year on the LET Access Series was 13th at the CitizenGuard LETAS Trophy in Belgium. She also has gotten into four LET events this year with a best finish so far of 39th. 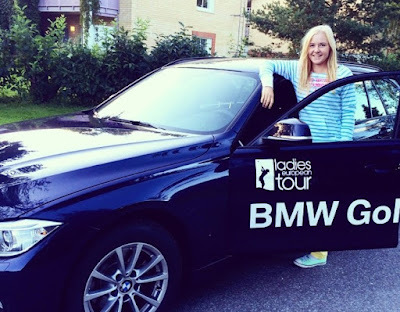 Krista turned pro after winning one of the LET's Q-School pre-qualifiers in late 2013, and then finishing in the Top 30 in the Q-School proper at the end of 2013. She was a rookie on the LET in 2014 and had a best finish of 9th at the Deloitte Ladies Open.